Our EcoLife insulated totes are made from premium, non-woven polypropylene material. 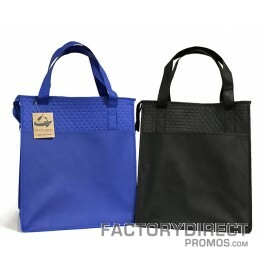 They feature a zippered closure as well as reinforced 20” handles and a bottom board insert for enhanced durability. There is an outside pocket for additional storage, perfect for utensils or other items. 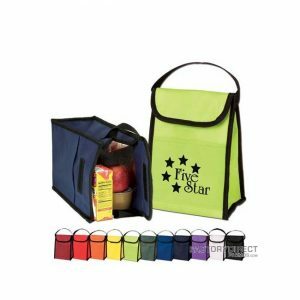 It is the ideal tote for taking food on the go.